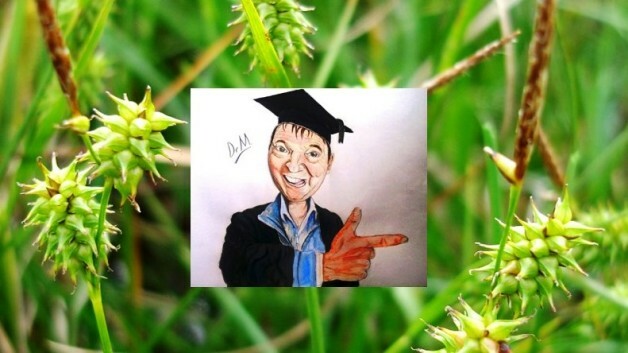 Home Cyperaceae Learn sedge ID with Dr M at SLBI London – 18th October 2015! OK, Listen up plant lovers and botanophiles alike! Stuff like this really doesn’t happen that often, I mean, when did you last have a chance to attend a Dr M Botanical course? Like never, or at least oh so rarely! We are talking hen’s teeth, we really are! So, come on down to London town and join the botanical love and joy at Dr M’s first and most amazing introduction to the sedge family (that would be the Cyperaceae for the botanically initiated) in the gorgeous South London Botanical Institute, London. Sign up for it here (spaces are limited, so be quick!). OK, so you don’t know any sedges? Well no problem, this could just be where your life-long sedge journey begins! OK, so you already know some sedges? No problem, this is where you learn more! It’s all happening on Sunday18th October 2015 at the South London Botanical Institute, 323 Norwood Road, London SE24 9AQ. The Cyperaceae is a big plant family commonly known as sedges, which superficially resemble grasses and rushes. There are around 5,500 species described in about 109 different genera with centres of diversity in tropical Asia and tropical South America. The largest genus in the Cyperaceae is Carex with 2,000 species world-wide and 78 in Britain. Sedges are often associated with poor soils and with wetlands and they can be important indicator plants of environmental conditions. This one day workshop will introduce UK sedges and the morning will start with highlighting the key differences between the superficially similar groups: grasses, seges and rushes. The focus then shifts to the true sedges (Carex spp.) and will use live and preserved material to identify the parts of a sedge which are important for ID (stems, leaves, ligules, spikelets and flowers – including glumes and utricles). The afternoon will b spent practicing identifying common sedges using the dichotomous key from The Book of Stace AKA: The New Flora of the British Isles by Clive Stace. At the end of the day, if you have worked hard, you will have gained increased confidence in distinguishing sedges from grasses and rushes and be able to use a key to identify common species and be prepared to tackle new species you find in the future, most important of all, you should also have had some botanical fun on the way! Dr M says what you will need to bring: No previous experience of sedges or using dichotomous keys, although if you have some it will help! Bring yourself and your enthusiasm and any of the following if you have them, no worries if not we have plenty of spares of everything. Handlens x10 or x20 magnification and a copy of Stace if you have it (any edition will do) and any other sedge ID books. Dr M entreats: Resist no more, sign up now, you just know you want to! Dr M’s botanical pledge: A Cyperaceous day to remember, or your money back!